You can turn into Avenger characters but what about Deadpool? Become Wade Wilson in MCPE who got invulnerability by paying a heavy price. 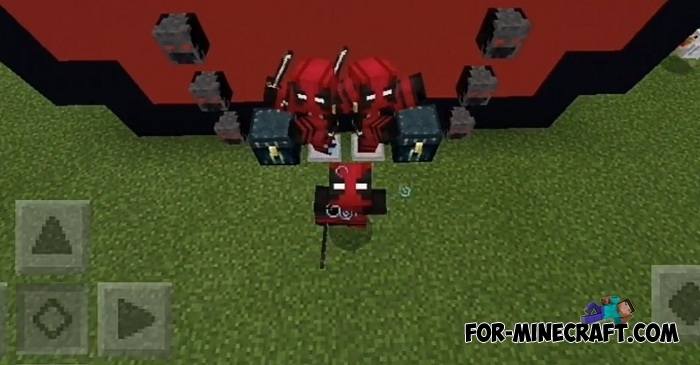 The Deadpool addon adds a suit and some weapons (while only a powerful bow and sword with effects, katana is Deadpool's favorite weapon will appear in the next updates). Put on all the elements of the suit to turn into one of the most bizarre characters in the Marvel universe. How to install the Deadpool addon?